Throughout Advent we read and sing the words Prepare the Way as we make room to welcome the Christ child into our lives once again. We prepare our city streets and buildings. We prepare our homes and workspaces. 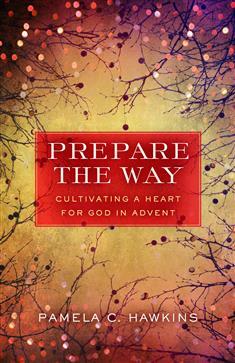 But sometimes Advent can slip away from us before we can prepare our hearts. In this 4-week study and prayer book, Pamela Hawkins invites us to prepare our hearts through guided prayer, readings from Isaiah and Matthew, as well as brief reflections on four scriptural themes: Peace, Justice, Fearlessness, and Faithfulness.